A lot of people nowadays does not want to have the hassle of going out and falling into long lines just to get the job done or pay their bill, specially when it comes to buying things for an event. That is why a lot of us do depend on the power of the web. And there a couple of newly established stores online which delivers the right kind of service for the right kind of people; And one of them is Beanstalk.ph. Beanstalk.ph is where Retail meets Sustainability, environmentally and socially. It is where people can buy high-quality products that makes a difference in the society. 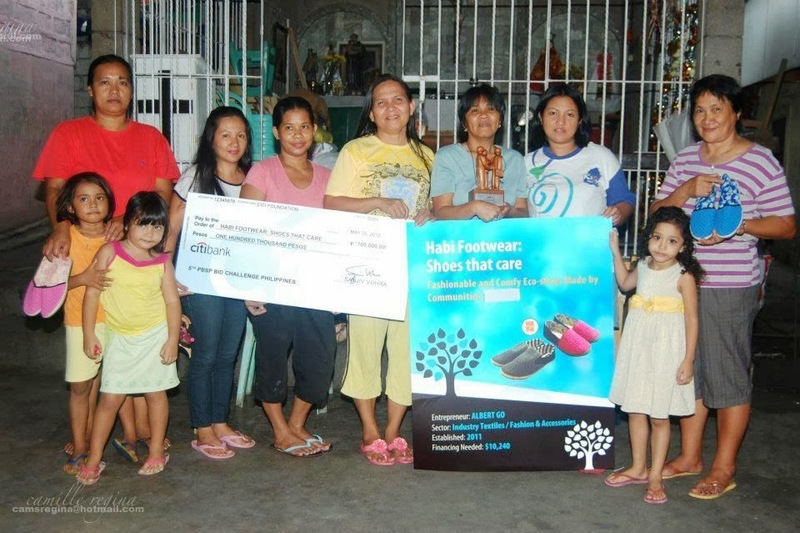 Customers can have that fashionable shoes while empowering communities.
" we want to feature these amazing products of social enterprises while sharing the story they have. In a broader context, we want to create a revolution, to spread the culture of social entrepreneurship- that people need not to go out of their way and personal fashion and needs, to help a community." " We started it as a thesis-project in our senior year. and since graduation, we have been continuing to make it grow. We relaunched it last May 25, showcasing the new and revamped website of Beanstalk.ph. We currently feature products from Denim Dimension, Habi Footwear, Leyende, Artwine, ECHOstore, Loudbasstard, Jacinto & Lirio, Karaw Artventures and Kultura Kamp." Truly Beanstalk.ph is a one of kind marketplace for netizens who wants to experience a new kind of flavor in shopping online, and according to them, they want responsible consumers and social enterprises to interact with each other through their website and of course resulting into a harmonious kind of marketplace in the web. If you are interested in visiting their website,please don't hesitate to do so,because at Beanstalk.ph, you can be sure of the quality and the service that they can provide coming from some of the best entrepreneurs in the market today, like Artwine and HABI. For more information,you can sign-up to their monthly newsletter for product updates and information about the social enterprises: http://www.beanstalk.ph/?s=newsletter. They are also having promo on this one, they can give freebies to the 1,000th subscriber and also Gift Certificates to selected Subscribers.